I’m always up for a good documentary and this one looks great! Drew: The Man Behind the Poster was unveiled at Comic-Con this year (yet another reason I wish I had gone). 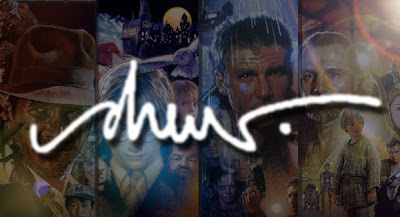 It’s a film about the legendary Drew Struzan. He’s the genius behind all those iconic posters we all know and love. Many of the movies from my childhood featured Drew’s poster art. He’s quite a talent. Apparently there’s a book coming out soon as well. I'm excited for this film. It features interviews with Guillermo del Toro, Steven Spielberg, Harrison Ford, Michael J. Fox and so many more great movie peeps. Take a look! Drew: The Man Behind the Poster is directed by up-and-coming American filmmaker Erik Sharkey. Sharkey along with Greg Boas and Charles Ricciardi are the film-making team behind this doc. "Telling the tale through exclusive interviews, the journey spans Drew's early career in commercial and album cover art through his recent retirement as one of the most recognizable and influential movie poster artists of all time." These three filmmakers have crafted a comprehensive presentation about the artist, the art, and the stories behind Drew's most recognizable creations. This movie still doesn’t have a distributor or release date yet, but I’ll keep you updated.